Looking for a veteran starter to soak up some innings in a rebuilding season the Phillies have signed right-hander Aaron Harang, according to Jim Salisbury of CSNPhilly.com. 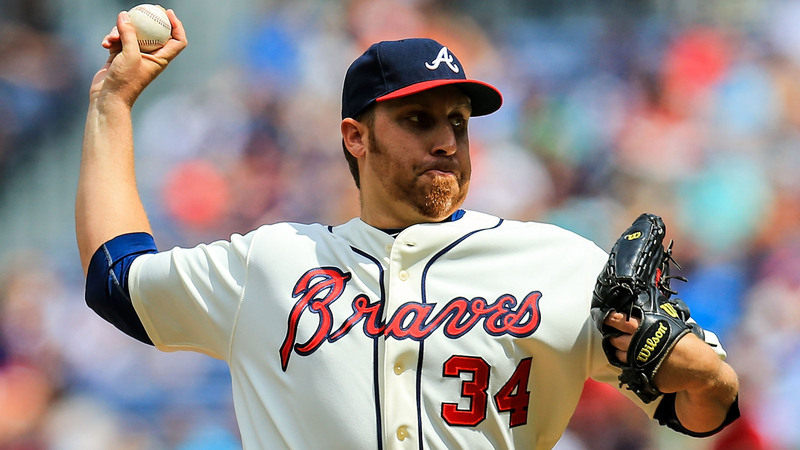 Harang had an ugly 2013 season, but bounced back nicely at age 36 to throw 204 innings with a 3.57 ERA and 161/71 K/BB ratio for the Braves. He also had a sub-4.00 ERA in 2011 and 2012, so Harang is a decent pickup for a team more or less just looking for 175-200 not-horrible innings at a low price tag. Salisbury reports that the one-year deal is worth $5 million.